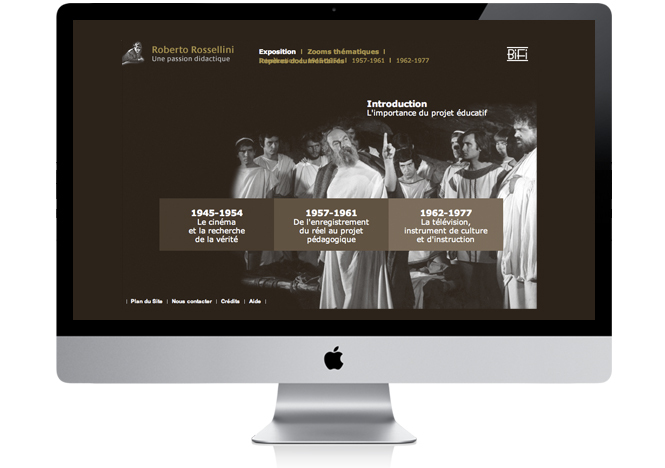 On the occasion of the plan of action to promote its collections, I have been put in charge by the Bibliothèque du Film of the art direction and graphic design of several online exhibitions in different websites. 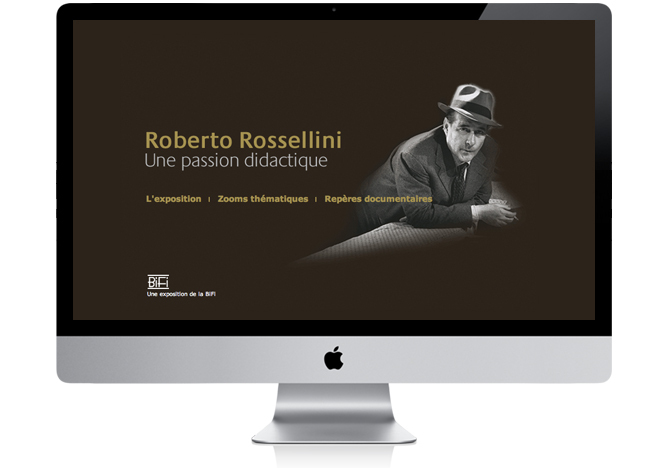 The "Roberto Rosselini, une passion didactique" one, is the result of collaboration with Michèle Lagny, an historian specialized in neorealism. 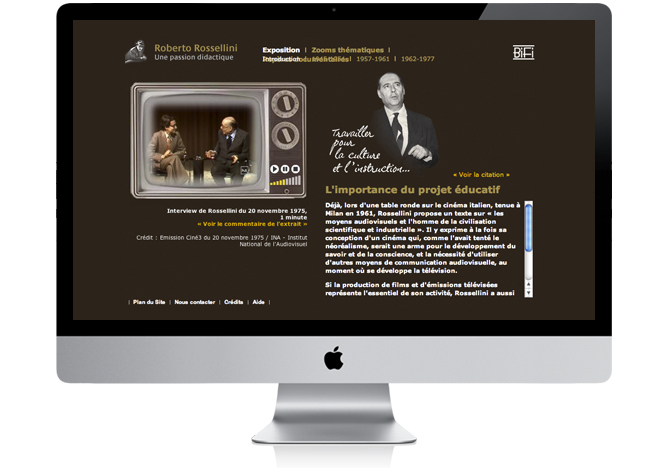 It presents an very detailed analysis of Rosselini's audiovisual work, completed with thematical focuses and landmark documentaries.